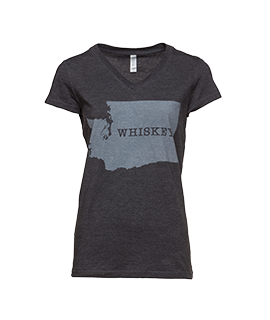 *PLEASE NOTE: Due to liquor laws, we can only ship our whiskies to a Washington state address. Out of Washington state orders cannot be accepted. Laser-etched 750ml bottle with custom text of your choice. 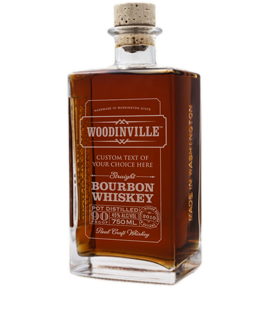 The entire label including your custom text is laser-engraved directly onto the glass. 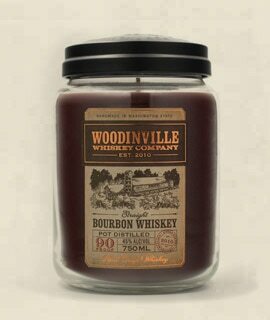 Available with our Flagship Straight Bourbon, Flagship Straight Rye, Double Barrel Whiskey, Port-Finished Bourbon, and Cask-Strength Bourbon & Rye. 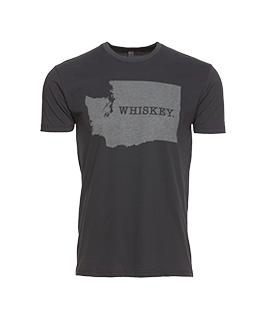 Kentucky, meet Washington.™ 100% handmade in Washington state and aged in a new, charred oak 53 gallon barrel. 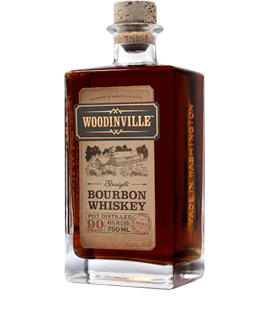 Over 5 years in the making, this whiskey is redefining craft bourbon — one barrel at a time. 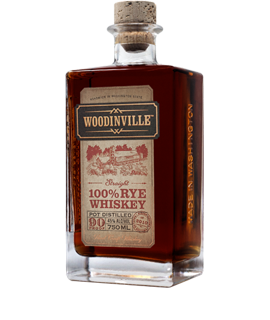 One of the only 100% straight rye whiskies produced, it has all the traditional rye spice and flavor rye whiskey drinkers love. And then some. Twice barreled. Twice as good. 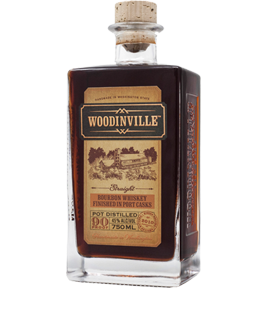 Our Flagship 5 year straight bourbon “finished” in Tawny Port barrels. This “finishing” process notes of fruit and chocolate emerge with a rich, viscous mouthfeel. 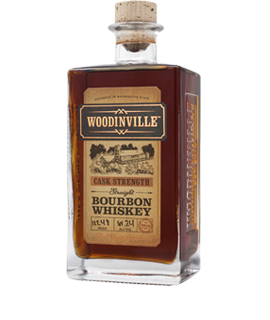 Our Flagship 5 year straight bourbon – straight from the barrel – undiluted and unfiltered. 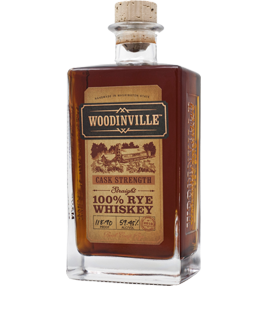 Our Flagship 5 year straight rye whiskey – straight from the barrel – undiluted and unfiltered. 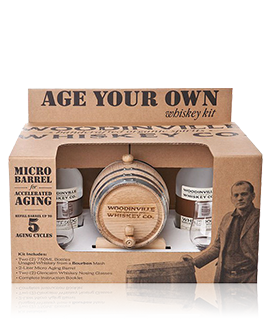 DIY, for Whiskey lovers – The Woodinville Age Your Own Whiskey Kit. 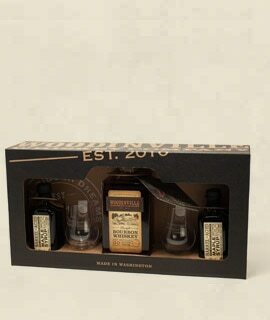 Gift pack includes one bottle of Woodinville Flagship Straight Bourbon Whiskey, two bottles of Woodinville Barrel-Aged Maple Syrup, two Glencairn Crystal Whiskey Glasses, and tasting card with expert tips & tasting notes. 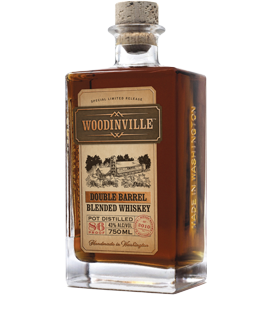 Gift pack includes one bottle of Woodinville Flagship Straight Rye Whiskey, two bottles of Woodinville Barrel-Aged Maple Syrup, two Glencairn Crystal Whiskey Glasses, and tasting card with expert tips & tasting notes. 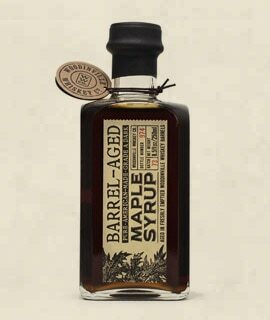 Pure, grade-A, dark amber maple syrup, aged in our once used whiskey barrels. Breakfast never tasted so good. 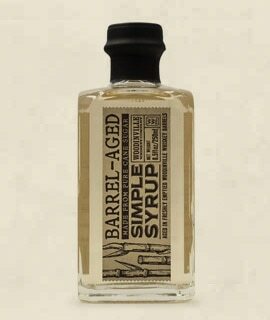 Rich simple syrup handmade from pure cane sugar then aged in our once used whiskey barrels. Classic V-neck, short sleeves and superior 100% combed and ring-spun ultra soft cotton. Discharge screen printed for extreme comfort. *Slim fit. 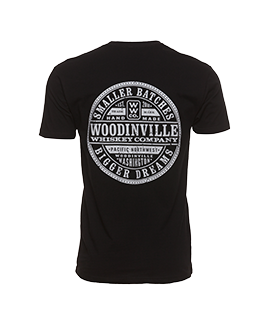 We recommend up-sizing one size. 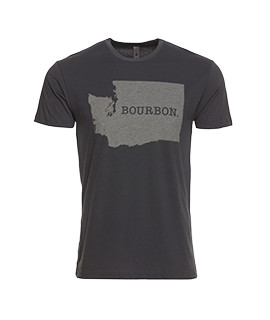 60% cotton/40% poly ultra-soft t-shirt. Discharge screen printed for extreme comfort. 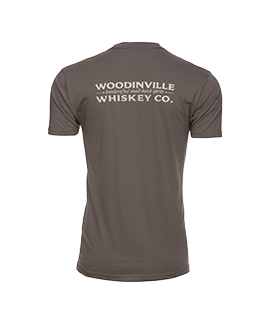 Comfortable and lightweight t-shirt with short sleeves and a crew neck. 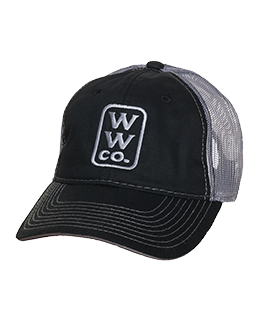 100% combed and ring-spun ultra soft cotton. 100% premium, pre-shrunk knit cotton t-shirt. Classic fit with short sleeves and crew neck. 50% cotton/50% poly fleece blend. 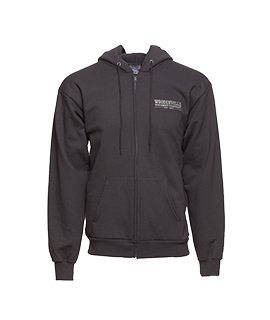 This cozy sweatshirt is sure to keep you warm and comfortable. One of our best sellers. Breathable mesh back and adjustable strap closure with a structured fit. 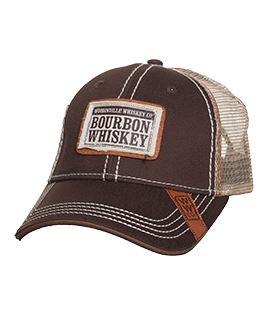 Featuring a custom stitched Woodinville™ Bourbon Whiskey patch, this is a customer favorite! One size fits most. A great fit with light structure and low profile. Grey mesh back with snap closure. One size fits most. Our Founders’ personal favorite!